You learn a lot when you’re in a different industry. In the spring of 2007 I was applying for jobs. I was about to graduate from college. I wanted to work in business. Management, operations, marketing, sales, whatever. I just wanted to get my foot in the door somewhere and learn. I interviewed at a number of places and one worked out and I’m really glad it did. When I went in for the interview I had no idea what the position was or what the company did. It turned out that I would be a Catalog Manager for a footwear cataloguer. In that position I would learn about the direct mail industry. They also had an ecommerce side so I would learn things there too and it really was a neat time to be at a company like that because I could learn how each worked individually, but also together. This company had been around for 100+ years. It was really neat to be part of something like that. 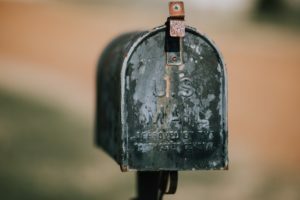 And while the company had certainly changed over the years – they went from door to door sales to direct mail to ecommerce – they remained consistent with things. They never jumped from trend to trend. It was a long-term focus on change. They would slowly test into changes. Then if something showed promise they would change and change for the long-term. And they’d be consistent about it. They wouldn’t jump back and forth from idea to idea. Slow and consistent. Even in the “fast paced” online world consistency is important. People don’t like fast change. Think of every time Facebook has done a “big” design change. This was a big one. Never learned it in college. It was one of the first things I learned at the direct mail company. And I’m really glad it was because I still learn it today. The company sold shoes. Say they sold a $100 shoe and made $35 profit. Logic would say that if you’re spending less than $35 to acquire that customer you’re doing well. But this company taught me about lifetime value. Say that the average customer buys three times. That turns $35 profit into $105 profit. Now you can spend more to acquire customers. Note: Those numbers aren’t exact, but you get the idea. Another big one that I don’t really see in the online world as often as in the direct mail world. We’d test a change to a catalog. Say a new cover design. Say we mail out 100,000 catalogs. We’d do 90,000 of the original design and 10,000 of the new design. We’d see what the results were. Say the new design won. Sometimes we’d do the same test won more time. Say the new design won again. Then we would usually roll out the new design, but we wouldn’t roll out to all 100,000 the next time. We’d do 90,000 of the new design and 10,000 of the old design and we’d do that for a few rotations. Back testing. Just to make sure the original testing was accurate. 2007 was not the best time to be getting a start in business. The first year was great. The biggest in company history. Then 2008 hit and times got tough. Lots of businesses started making snap decisions just to survive the next month. One of the big changes at the time was discounting. My boss at the time was pretty steady at the time and let us all know that discounting can work in the short-term, but it could train and attract customers that only expect and react to discounts in the future. It wasn’t a change we wanted to make for all the brands at the company. Eventually we weathered the storm and I think it set things up for long-term success. Discounting can be very crazy in the online world. Just remember that you’re attracting a certain type of customer, which is fine, but make sure that is your target customer for the long-term. We never really made big changes with design or merchandise or prices or anything like that during my time at the company. It gets back to consistency a little bit, but I think about this in the online world a lot. Google is a good example when it comes to design. They never seem to make large changes to their products, but if you compare a product – say Gmail – today vs. five years ago you notice quite a few changes. Yet it never feels like a big change. It’s subtle changes and little changes consistently over time. Never one big change and then nothing for awhile. Every six months we did a budget. Every year was the big budget. We’d do the big budget then at six months we’d revise the last six months. But the thing was that we always tried to stick as close as possible to the budget. Especially with expenses. There is something to be said for adaptability, but I think the bigger flaw is not sticking to a plan. If you put all kinds of effort into plan why throw it all out the door when the first step doesn’t work? It’s even easier to fall into this trap in the online world. All year I’ll take down notes on ideas I have for growing. Then in December I’ll prioritize and plan on working on 3-4 the following year. That’s it. Any new idea that comes across just goes onto the list for next year. For a company that’s been around for 100+ years you can be that they’re not chasing trends. When they switched to catalogs from door-to-door sales they weren’t the first. They waited until the method proved itself. They tested it. They did the same with ecommerce. They certainly didn’t wait around forever, but they didn’t chase every trend. They might have tested most trends with a little money and seen what worked. But they never bet the farm on any single trend. Every year we’d have pretty busy times. In footwear it was the springtime. Our customers tended to be a bit more traditional so we received a lot of calls in the call center. When things got really busy the office employees would go down to take orders. That was a really good experience because we’d get to know our customers even more. For a direct marketer or online marketer you’re kind of distant from your customer a lot of the time. But when you’re taking orders on the phone you really get to know them. When you get direct mail usually you’re getting a version of the piece. You’re put into segments. The online world hasn’t entirely adapted although new technology is allowing for pretty nuanced personalization on some websites. Imagine going to Amazon in the future and getting a completely different website than everybody else. It’ll take a lot of design work, but it will probably be the reality. The company had multiple brands. Each had a unique selling proposition. Some had wide and narrow widths, which isn’t all that common in footwear offerings. It made for a smaller niche, but also made for not a lot of competition. A valuable lesson for any business. Find the pockets of demand with little competition. Find a way to be incredibly efficient and others will struggle to ever compete. I learned so much at that job. I was there five years and it seemed like I got a lifetime of knowledge. I still think back to lessons today when I’m working on Ghost Blog Writers or even thinking about business in general. I think it gives me a little leg up to have a background in direct mail. It provides a different perspective in the online world.